From time to time users need to back up hard drives for restoring the information it contains on a new hard drive or preventing it loss after different system failures. The process of hard drive back up means creating its exact copy by cloning it byte-by-byte. It is widely used by system administrators for optimizing the process of installing a new work station. This procedure is also a part of full system backup. Usually the process implies creating a hard drive image file with its further loading on the second disk. Instead of the PC file system, the process of backing up hard drive takes into account the physical arrangement of data. A hard drive image helps to quickly restore the system even after serious failures and malware attacks. With constant growth of hard drive capacity, the byte-by-byte back up of hard drive becomes more and more time consuming procedure. That is why system administrators use both complete and selective hard drive back up. If some data areas of the hard drive are often changed, you can backup it regularly without the need to perform full hard drive cloning. 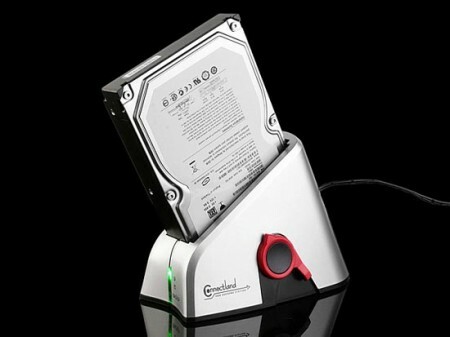 It is a highly convenient feature for large capacity hard drives. The process of backing up hard drive consists of two main stages. The first one is creating a backup image, and the second one is its restoration on the existing or a new system. Modern solutions for back up hard drives enable to record disk images on any portable memory drive, including HD DVD and Blu-ray disks that allow to store up to 80 GB of memory. Some programs allow saving the backup image on FTP/SFTP servers. The easiest method of backup hard drive is having both disks (source and destination) installed on one computer. If this is not possible, two drives can be connected with a parallel cable. Remember that creating a few backups at a time may heavily overload the network due to large volume of information processed. To optimize this process a multicast backup technology is used. It allows restoring hard drive information on several machines at a time from one single image.